Recreate your favorite scenes from The Secret Life of Pets movie with Plush Buddy characters. Soft, fluffy plush figure is perfect for playtime and bedtime. Collect all of The Secret Life of Pets plush characters, including Max, Mel, Gidget, Chloe, Buddy, and Snowball. 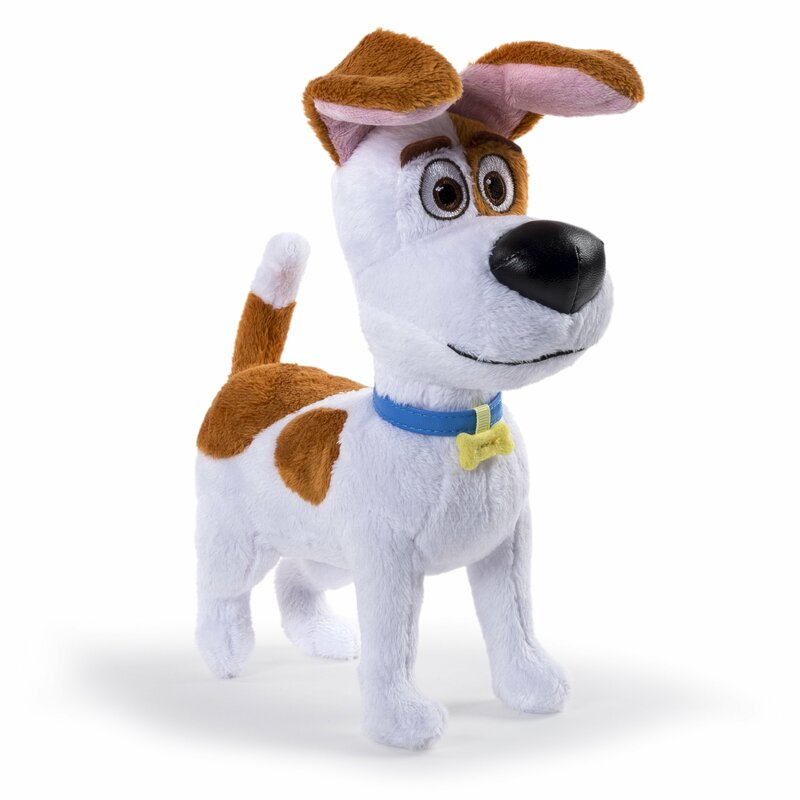 The Secret Life of Pets Plush Buddy is for ages 4+. No batteries required. Style: Max Ever wonder what your pets do while you're not home? Explore The Secret Lifeof Pets with Plush Buddies! This soft plush Max character is ideal for playand display. And when it's time for bed, the Max plush is perfect forcuddling. Collect all of The Secret Life of Pets Plush Buddies to re-enact allof your favorite scenes from the movie. Bring home fun and adventure with TheSecret Life of Pets Plush Buddies!